Project O – My thoughts on a page. who always has an opinion? Do you feel the need to express it loudly? Are you intolerant of opinions at odds with your own? on your opinions and how you voice them? or read the opinions of others and reach your own conclusions. I follow a blogger aopinionated man. he has over 23,500 followers. but to be honest he is the hardest working blogger I know. Every comment is replied to so quickly. I do not think he ever sleeps! and I even greatly enjoy our interactions! as life is too short. and parted friends but agreeing to differ. and now he is undertaking a project. He calls it Project O.
or check in in September when he posts the replies. and I have written my replies. 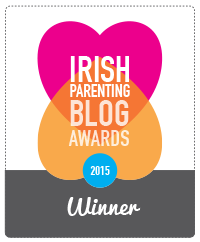 I am an Irish blogger, with four children and a husband. I have always loved to write but apart from thirty years keeping a diary I have written very little. Until I began my blog in January. Since then I have found my voice so to speak and love my blog. Writing now is something I can’t not do. I live in the South of Ireland but was born and reared in Dublin, which is where my heart lies. You have no chance of me giving my age, suffice to say I have children from 11 years to 22 years, but I was a child bride! I think that I have mellowed with age and I have learned my opinions now are just that, MY opinions. I do not have to change others. I was very well able from an early age to voice my opinions, and was incensed as a child by gender inequality. I was quite outspoken in general but I do recall one particular moment I voiced my own opinion. I was in school aged about fourteen. It was in a religion class. A nun was teaching us and I had not a lot of faith, and probably not a lot of respect, so I was not being overly attentive. She was speaking about trials and difficulties we could face in our future. Nothing she spoke about was working for me, as I sat swinging on my chair. She began to speak about coming up against troubles in life. What would we do if we met a giant mountain as we were walking along? “Well miss?”, she shouted in my direction, “What would you do?”. I hesitated and she continued, “Well? Would you climb that mountain, or would you go around it?”. I said quite happily “Sister I’d go around it”. Oh my goodness, the poor nun lost it. “Typical, typical of you miss”, she roared. “Take the easy way out. Why am I not surprised? I can just see you all your life taking the easy way”. When I argued with her about how ridiculous it was to take the hard way she threw me out! Well to this day I still disagree with her. I think people often complicate life. They create problems which are not there or else cause them. So, sadly whilst I do now understand what she meant, I still think there is no reason we should make life more difficult than it needs to be. Some mountains we create ourselves out of hills. We respected our parents or grandparents because of who they were but did not really have to show it formally. As a member of a big family there was a lot of “discussion” and loud exchanges of opinions from a young age. Everyone fought for their voice to be heard. I think because of this openness I learned to never be afraid to have an opinion and also the art of getting your point across successfully. I have travelled Europe to some degree, and have visited the United States. I lived in Australia for sixteen months in my early twenties. I do like to keep up with national and international news, which is readily available on a loop here if you so wished. How at another time I would have relished this question. There would have been so many topics burning a hole in my head and I would have passionately argued each one, gay marriage, gender inequality, religion to name but a few. However in times of trouble our world becomes very small, and we get focused on what matters to us.So for me the rights of the world will have to wait. My choice of topic is the ignorance of us all to the gift of bone marrow donation. How many even know how simple it is to become a donor? How many understand they could save a life? How many know that a simple cheek swab is all that is required, but do nothing. I cannot understand why everyone who gives blood is not asked to consider going on the bone marrow register. We have recently been witness to this miracle. A young friend of ours aged just 13 years was given the news at Christmas he had leukemia. Our world shrank. His only hope for life was a bone marrow donor. Family did not match. Can you imagine how you would feel looking at your own child and know your DNA does not tally enough with his! Then they found on the international register that a young 21 year old girl in the United States, had taken the time to go on the register. She was a 10/10 match. He had a chance. However others have been left with no chance, because their match has not been found. Maybe it is you? So there you have it. This is the raging topic that I cannot get away from. I feel so passionate about it. If more people just knew about testing they might actually do it. Maybe this is not the opinion that was asked for or expected, but it is an opinion on a topic I feel so strongly about, so I hope it qualifies. Never. Wrong is wrong there is no need to debate it. I do not think it will! I do however passionately believe we all have a voice and we should use it. Diversity of opinions is normal and the tolerance of difference is what makes a country a desirable place to live. I will thoroughly enjoy reading others experiences. Luckily for me I live in a country and time which allows me, a woman, to voice my opinions. I strongly believe that the more time we spend with each other and share lives the more we discover our similarities as humans. Maybe this project will show that too. Sometimes my blog is as superficial as facebook. Maybe I am not good Mother material. I too am of the opinion that OM never sleeps, he is always on the ball in relation to replying to a comment – how he keeps up to the mark with replies I’ll never know and yes he has an opinion on most every topic – you will catch up in the numbers game once you continue to write as you have been doing – that’s my opinion anyway. BTW: Your post has been scheduled and the list has been updated. Ha ha. My eyes close when I smile! Your welcome. I think because we began to blog around the same time that you are one of those bloggers I rarely miss reading. And the only one who triggered me to respond to your opinion! Thanks a million for the reblog too. Much appreciated. Perhaps I look forward to differing opinions the most. Yes, I can safely say that is true. This was a nice write up and I appreciate it. For some reason as I read this, I could hear a sweet, lilting Irish accent in my head. It kept a smile on my face the entire time. I’ve signed up to follow. So looking forward to reading more. Yeah thanks a million. I have tried to write as I speak and some think I am writing poetry, which I am not. I’m delighted you thought you could hear me. Welcome to my world. I will be over to check you out too asap! Very interesting! Keep it up I cant wait to read more! Call back to OM in September and read for a month! Ha ha. As you can gather she was not a great fan of mine! We could never see eye to eye. If I said nothing, I had “attitude”, if I spoke she disagreed and invariably I was turfed out! Ha ha! I wanted to be a nun too when I was in primary school run by catholic nuns. I have to admit I do “share” my opinion in the sad belief that I will change someone elses or at least make them think. Interesting project, OM. 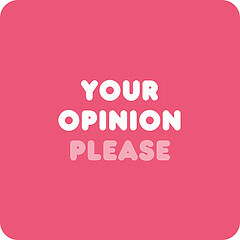 I’m quite prepared to express my opinion unless it is something that might be hurtful to the person I’m talking to. On the other hand, when I’m angry I can say dreadful things. I have not enough time to join the project, but will be following as time permits. Quite a number have commented, here and on other project O posts, that they were shy as children and loath to share their opinions. The more I read those comments the more I realise I was actually well able to voice my own thoughts from quite a young age. Time, experience and age have calmed me down enormously.